inscribed on the lithograph. 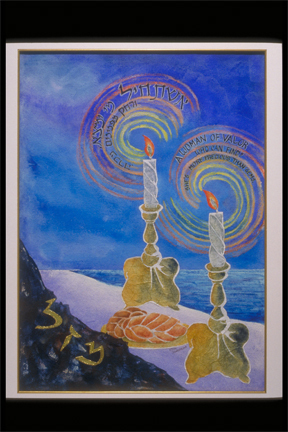 The three special women’s mitzvot are represented by the Shabbes candles, challah and the sea. 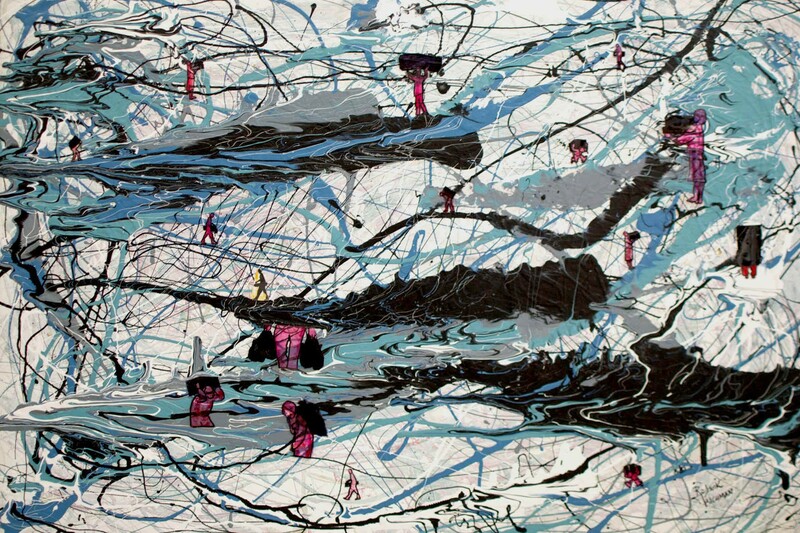 The artist can personalize this print with a name in Hebrew or in English, on the left lower corner.